A case of measles has been confirmed in Mount Maunganui following outbreaks in Christchurch and Auckland. Public health authorities are encouraging people to ensure they and their children have had the vaccine that protects against measles, the MMR (measles, mumps and rubella) vaccine. As of last week, 67 people were confirmed to have measles in New Zealand this year, including 39 in Canterbury and 12 in Auckland. Two cases of the measles were reported in the Bay of Plenty in January, in Tauranga and Whakatāne. Both patients had recently travelled overseas. Toi Te Ora Medical Officer of Health Dr Jim Miller said parents needed to ensure their children received immunisations on time at 15 months and 4 years of age. “MMR vaccine provides very effective protection against measles and is completely free for children and adults who need it,” Dr Miller said. People in their late teens and early 20s should also check they had been vaccinated, as the immunisation rate was lower when they were children. Anyone not sure if they were immunised should speak to their doctor. People born before 1969 were likely to be immune because measles used to be quite common, and people in that age group did not need immunisation. Fifth Avenue Family Practice GP Dr Luke Bradshaw was not surprised of the Mount Maunganui case, given Tauranga had a higher proportion of unvaccinated people than other places, and there had already been two cases in the Bay of Plenty this year, he said. 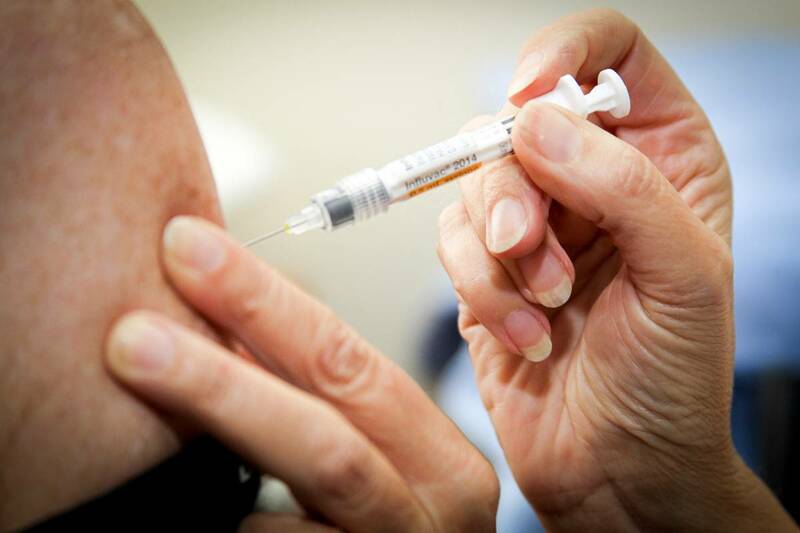 Bradshaw said there had been a noticeable increase in people getting vaccinated since the outbreaks in Auckland and Christchurch, especially from those travelling to Christchurch. This had led to a shortage in vaccine supply in the region but he expected supplies would be sent from other areas if needed. Bradshaw also noted an increase in enquiries from people about whether they were covered and from companies who were looking to get their staff vaccinated. “The first early symptoms of measles are fever, runny nose, sore red eyes and cough. After three to five days a red, blotchy rash appears on the face and head and then spreads down the body,” said Dr Miller. Anyone who thought they had measles should stay home and call their doctor or Healthline to arrange an assessment, to avoid putting anyone else at risk. • Anyone who thinks they have been exposed to measles or is exhibiting symptoms, should not go to the ED or after hours’ clinic or general practitioner. Instead, call your GP any time, 24/7 for free health advice. • For more information or advice on measles, please call Healthline on 0800 611 116 or see the Ministry of Health’s measles page. US average mortgage rates at 7-year highs; 30-year 4.61 pct. May 17, 2018 Comments Off on US average mortgage rates at 7-year highs; 30-year 4.61 pct.